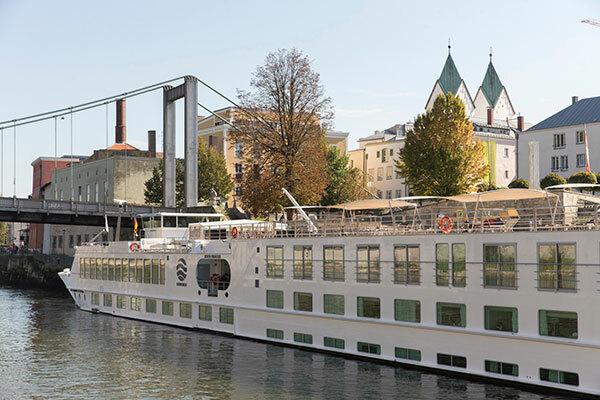 Uniworld Boutique River Cruise Collection is set “to evolve its offerings” even further throughout the next two years with major expansion and renovation plans. By 2020, more than half of the ships in Uniworld’s fleet will be a “Super Ship” with the addition of three new vessels in Vietnam, Egypt and Portugal and another Super Ship renovation in Italy. Egypt is back and continues to be a top trending destination for travellers seeking culture and adventure. Uniworld will be launching the newest, most luxurious ship on the Nile river on Jan. 6, 2020. Named after the goddess of the Nile, the S.S. Sphinx will offer three gourmet dining venues, including a private dining room and an al fresco dining experience on the upper deck, a swimming pool, massage room and 42 suites. Continuing the company’s commitment to sustainability, locally sourced Egyptian artwork, fabrics and hand-carved furnishings will be used to bring the beauty of the region to life onboard. This ship will include 12 adventure-filled days to experience Egypt and the Nile’s top sites starting and ending in Cairo. Debuting on Jan. 3, 2020, this will be the newest and most luxurious ship on the Mekong river. Uniworld’s all-suite ship will include two dining venues: one main restaurant and an al fresco eatery on the upper deck. The Mekong Jewel will be 10 metres longer than the Mekong Navigator, but with the same capacity offering guests more space and amenities. The ship is being constructed with sustainable and eco-friendly materials, such as special paint used for the hull of the ship that creates less drag caused by bio-fueling, specially designed ship propellers that increase performance and efficiency, energy-efficient LED light fixtures, automatic air conditioning controls to optimize cooling resources, and water-cooled air-conditioning system that will save energy. The 13-day itinerary will take guests from Ho Chi Minh City to Siem Reap, with visits to Phnom Penh, Angkor Wat and more.